Download User Login and Signup App Screens PSD. In this awesome resource freebie you will find 2 free psd files which includes user login and signup app screens which can be used for any mobile app or website. You can easily adjust the colors according to your project. 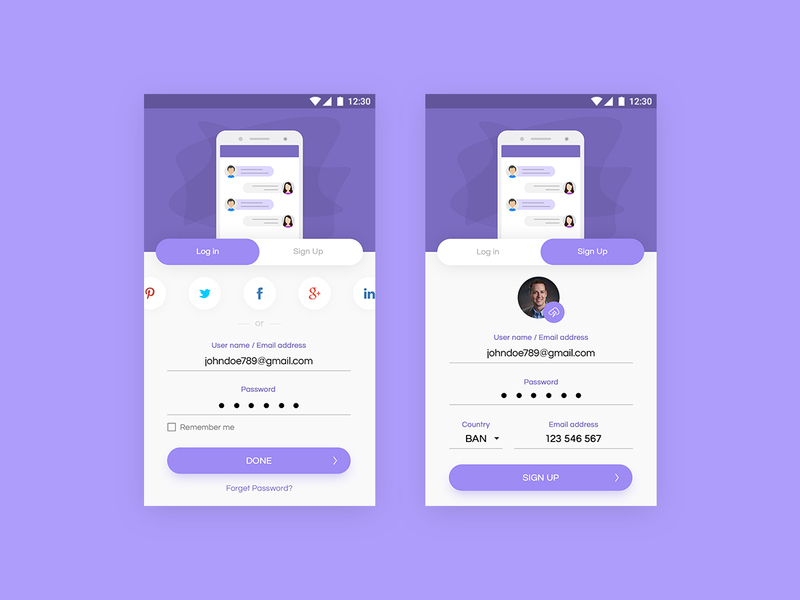 Feel free to use this User Login and Signup App Screens PSD in your upcoming app ui design projects. Hope you like it. Enjoy!